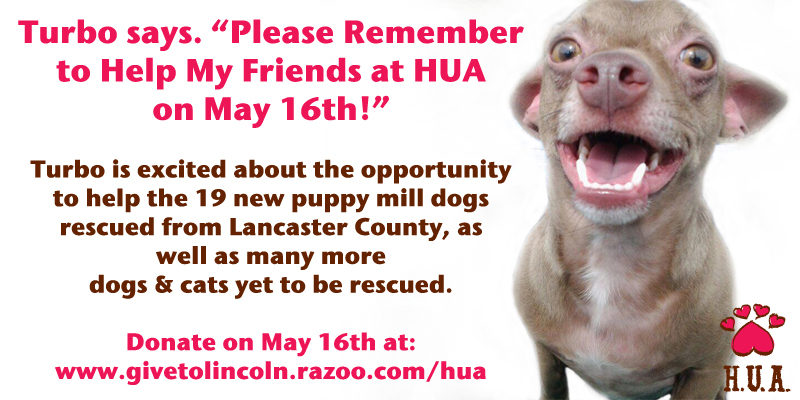 On April 15th, Hearts United for Animals rescued 19 dogs from miserable conditions where they had lived for years in a Lancaster County, Nebraska puppy mill. Most of them were underweight, and all have medical issues due to severe neglect. All of the dogs were so happy to be rescued. They delighted in the comfort given to them by their rescuers. They enjoyed their clean new spaces and wonderful soft food. They lapped up their fresh, clean, abundant drinking water - something they had been lacking. Rescuers decided that these dogs are definitely rock stars! They came through their ordeal with such happy, positive attitudes, looking forward to their much improved new lives. They survived, they endured, and they will become loved family members after all of their medical work is done. Stevie Nicks, a tiny little female Brussels Griffon, was the happiest of all. Even though she suffered from a plethora of painful conditions including a hernia, ulcerated and infected eyes, infected ears and a luxating patella, the first thing she did was to dance around the room greeting everyone with her stubby little tail wagging like crazy. Rachel, her new caregiver at HUA, hugged her tight and assured her that every day will be a happy one from now on, full of love, goodness and hope. As of today, Janis Joplin, a Schnauzer who was so filthy and entangled in mats that she could barely walk or see, is in the maternity ward at HUA awaiting the arrival of the last litter of pups this poor soul will ever have to give birth to. Her health is poor. Her mouth is horribly infected and she has a bad hernia as well as a heart condition. Everyone was devastated to learn she was pregnant. It means she will have to wait until after the puppies are born to have her medical conditions attended to properly. It also puts her at huge risk for complications. She is strong though, and continues to gain strength every day due to the good nutrition she is receiving now that she is at HUA. She has been groomed and feels like a new dog. Her start to a happy, healthy new life is a bit behind the others due to her pregnancy but the veterinarian caring for her is hopeful that she will come through it well. Janis and Stevie and their friends are perfect examples of the tremendous suffering the parents of pet store puppies endure month after month and year after year. These dogs lived in piles and piles of excrement with little food, little water, little veterinary care and obviously no regard whatsoever for anything other than the number of puppies that their broken down bodies could produce. Please share their story with your friends and let them know that dogs like this will continue to suffer as long as the public continues to buy puppies from pet stores and on the internet. Meet Kylie. 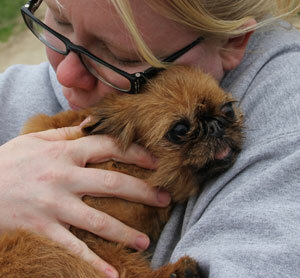 She is one of over 10,000 dogs that Hearts United for Animals has rescued from puppy mills. The puppy mill that Kylie was rescued from was located right here in Nebraska, not far from Omaha. 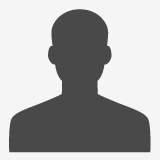 She did not have a name. She was only a number. She did not ever have a bath or a haircut. The mats on her face were so bad that by the time she was rescued she could not even see through all of the snarled fur. She lived her entire life in a cage, her feet never touching grass, receiving no love, never getting to experience the simplest pleasures of being a dog. Her only purpose was to churn out puppies to be sold to pet stores. She has scars from c-sections and had horrible ear and mouth infections. Kylie was rescued the day after Valentine’s Day. When she arrived she cowered in a corner, afraid to be touched by humans. After her first bath and grooming she became a new dog. She danced with delight at how wonderful she felt. She couldn’t believe the big new world in front of her that she could actually see for the first time in years! She clung to her rescuers, showing her gratitude and adoring every moment of being loved and comforted. Her friends the Elkhound puppies who were rescued with her are terribly afraid of humans. At only 5 months old they don't expect that people will be nice to them. Mason pup can barely walk. He hobbles along in pain as both of his back legs are very deformed. His brother Lamar is a little better, but along with Mason will need expensive orthopedic surgery in order to lead a normal pain free life. They will be given that chance because of Hearts United for Animals and our wonderful supporters. Please remember Kylie and her friends when you see those cute puppies in the pet store. Buying those cute little puppies keeps puppy mills in business and ensures that the parents of those pet store puppies will continue to suffer for years and years. You have the power to stop puppy mills. Please do not support stores that sell puppies. Use your wallet to send them the message that no matter how cute those puppies are, the lack of care that their parents endure in the mass breeding facilities is not acceptable. 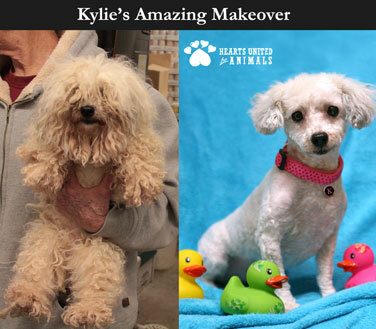 Please visit www.hua.org to learn more about puppy mills and to visit Kylie and her 400 friends at Hearts United for Animals who are available for adoption. You can also make a donation to help Hearts United for Animals mission to shut down puppy mills and rescue and rehabilitate dogs like Kylie, Mason, Lamar and their friends.